I have been endlessly fascinated by Vincent Van Gogh, but I find that the more I learn, the more I need to search. When I was in high school, Don McLean's "Vincent" moved up the radio charts. In fact, the song was used at the high school graduation in 1973. Whenever I visit art museums, I am drawn to his paintings, particularly the two Starry Nights--the most famous one in New York and the darker one at the Musee d'Orsay in Paris. I am challenged when I try to accept that the man who created such beauty lived such a life of despair. Even Woody Allen used Van Gogh's life as fodder for his dark humor in his classic piece, "If the Impressionists Had Been Dentists," from his collection Without Feathers. 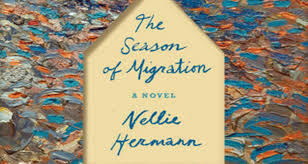 Nellie Hermann's novel The Season of Migration sheds light on a part of Van Gogh's life with which I was unfamiliar--his attempt to serve as a minister like his father. The story alternates between the account of Vincent's long arduous walk to see his brother Theo in Paris and his letters he wrote to Theo but never mailed while living and working in the mining town where he had been sent to preach. The story is dark, giving a glimpse into what might have haunted this man many thought mad. (He did cut off his own ear, after all)Despite the gloomy existence in the Belgian coal mining town, Hermann executes some beautiful, almost poet passages of description, particularly when Vincent decides he must go down into the darkest depths of the mine where the members of his congregation and community work. Through Vincent's written account of the experience to Theo, Hermann places the reader in the claustrophobic passages in the mine, so hot that some of the miners work naked. Hermann's Van Gogh still struggles to develop his artistic skills, driven as he is to draw. The author also nudges readers to want to explore the actual letters Van Gogh wrote his brother and the eventual inspiration that left the world with paintings that display his mark of tortured genius. 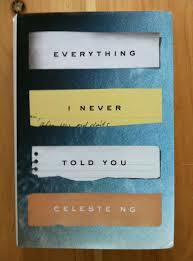 Celeste Ng's debut novel Everything I Never Told You opens with a spoiler: "Lydia is dead. But they don't know this yet. . . ." Thus a potential whodunit increasingly asks not Who? but Why? Lydia Lee, on whose death the story focuses, is the middle child of a Chinese father and American mother. Her older brother knows he can never compete with Lydia for his parents' affection. Her younger sister lives in the shadows, barely able to get their attention. Each member has to come to grips with the loss of Lydia, with only his or her incomplete information about the troubled girl who hid her emotions so completely. Her father James, always feeling the outsider, invested all his dreams in Lydia's popularity and social life, so much so that she pretends to have phone calls with girls her age long after any possibility of friendship has passed. She has to bear her father's embarrassing attempts to seem cool, particularly in front of her peers, dropping the names of celebrities of the seventies, when the story is set, or singing along to top forty hits when they're in the car. Marilyn, her mother, essentially lost her mother when she married James, unwilling to deal with the woman's antagonism toward the marriage. As she points out, at the time they wed, their marriage was still illegal in some states. Of even greater impact to her psyche, though, was her abandonment of the dream of becoming a doctor, a dream she transfers to Lydia. Ng has taken what could have been a formulaic story and given it a twist, moving between points of time and points of view, maintaining squirm-inducing, page-turning suspense through the novel. She even maintains cultural accuracy writing about a decade before she was born. (According to an interview in the Plain Dealer, Ng graduated from high school in 1998, while the climax of the novel is set in 1977.) She has successfully followed the "Write what you know" dictum, while doing the research to produce a successful first novel. 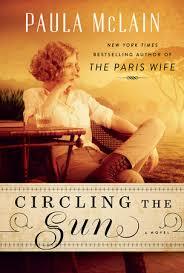 I had limited knowledge of Beryl Markham before reading Paula McLain's new novel based on this amazing woman's life. I'd read excerpts from Markham's West with the Night, but I knew nothing about her life other than her flying feat. However, I had read McLain's Paris Wife, her fictional account of the life of Hemingway's first wife, and I knew that she could make a work of literary art based on heavy research. While reading this book, I caught Garrison Keillor's Writers Almanac one morning and learned that it was the anniversary of her famous transatlantic flight in 1936. His brief clip told me things about the flight I didn't learn from McLain (such as that her maps flew out of the plane early in the flight, seriously hampering her navigation efforts), but Circling the Sun is about so much more than the best-known event of Beryl Clutterbuck Markham's life. Beginning in her protagonist's childhood, McLain recounts the departure of her mother, taking her son, when Beryl was young. 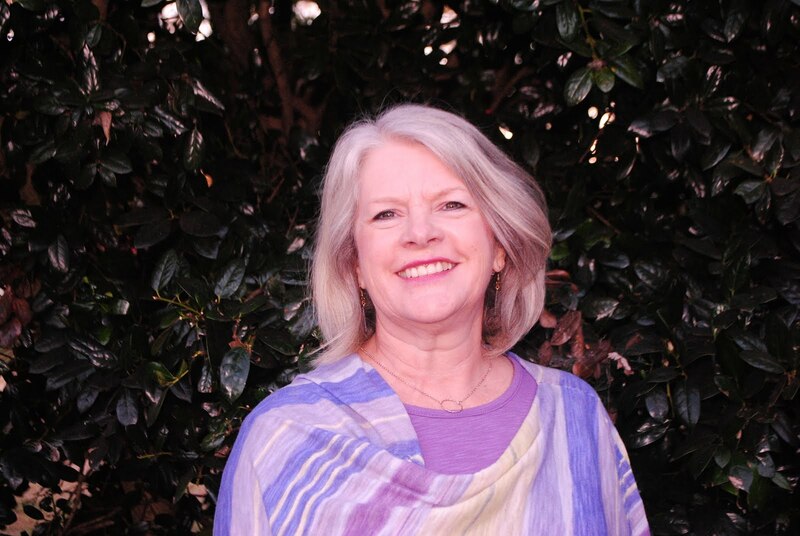 In her afterword, the authors acknowledges that since her mother, too, had abandoned her when she was young, that she felt a stronger connection to her than she had to Hadley Hemingway. Undoubtedly, though, Beryl belonged in Kenya, with her father, where she roamed with the native children until a new "housekeeper" intervened and sent her away to school to attempt to civilize her. Growing up at their farm Green Hills around her father's thoroughbred horses, Beryl goes on to become the first woman licensed as a trainer--at a younger age than most men. The story goes on to describe her early ill-fated marriage, which seemed her only option when her father suffered economic failure that cost him his farm. Beryl's own strong will and independent streak often made her a target of gossip, especially as she began to move in a new social circle. One of the biggest surprises to me was the major role of Karen Blixen (Isak Dinesin) in Beryl's life, especially the strong friendship the two develop despite Beryl's attraction to Blixen's lover, Denys Finch Hatton (the Robert Redford character in Out of Africa). Most interesting, too, was the note that when Karen wrote her story, Beryl is completely absent. While Markham is probably best known for her flying feat (first woman flying west to east across the Atlantic), aviation comes late in the novel, and her interest develops only after other life events take away her joy in her horses. It seems even more surprising that her own flying begins in earnest after losing people close to her in plane crashes. Through the novel, McLain brings to life a woman whose life of contradictions and conflict drew the attention, criticism, scandal and admiration across England, Africa, and the U.S. and whose memoir made an impression on Ernest Hemingway, whose praise led to the rediscovery of the book many years after its publication. After reading McLain's two novels based on the lives of real women from this period of history, I look forward to learning where her research leads her next. I was introduced to Ron Rash's work first when his novel One Foot in Eden was selected for an award at the Novella Festival that was held for several years in Charlotte. A teaching colleague passed the book along to me, but it took me awhile to get around to reading it then. Once I did, though, I sought his other books and discovered not only novels but short stories and poetry. I had the opportunity to meet Rash at the North Carolina English Teachers Association fall conference the year he was given the group's Ragan-Rubin award, and then again when he was our featured writer at the Laurette LePrevost Writers Symposium at Caldwell Community College. Rash's writing struck a chord in my students; many of them recognized some of the conflicts the characters faced--families who weren't so happy that they were going to college to better themselves, the growing plague of meth in this part of the state. When he appeared on campus for the readings, he was warm and generous with his time. He varied his presentations, reading his audiences well. In his spare time between readings, he went back to his room to write. 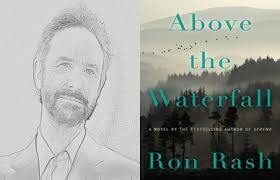 Ron Rash doesn't write books so he can make appearances. He writes, it seems, because he's a writer. He has a reputation for daily discipline--and the work pays off. While some writers are pulled away from producing more good writing after they have one successful book, relishing the book signings and readings, Rash manages to stay in control. His latest novel Above the Waterfall, set in the part of the South near my home, brings to mind his short story "Back of Beyond," which appeared in his collection Burning Bright. While that story focused on a pawn shop owner, the plot of this book is shared by two protagonists: Les, who at fifty-one is about to retire from his job as sheriff, and Becky, a park ranger who bears serious emotional scars from her past. The shift between narrators showcases Rash's deft use of language. Becky's sections are often poetic; in some chapters, she works on fragments on her own poetry in response to her natural world, while in others she is drawn again and again to Hopkins. Les is a complex character--a tough guy and an artist, a lawman who accepts bribes from the area pot growers in order to focus on the local meth problem. Both of the characters deal with guilt and trauma from their past: Becky survived a school shooting, which left her silent for a time; Les feels responsibility for his ex-wife's suicide attempt. What they hold in common is determination not to rush to judgment when an elderly curmudgeon seems the obvious guilty party when a fish kill occurs on the resort property adjoining his land. The attempt to solve the crime drives the plot, even as the novel remains character-centered. Without sermonizing, Rash sustains an underlying theme of mercy and second chances, set against a backdrop illustrating the far-reaching consequences of the current meth epidemic on individuals, families, and communities. Turning the last page, I could not resist going back to re-read page one, a sure sign this book will stay with me for a long time. 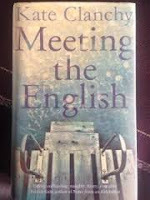 Kate Clancy's novel Meeting the English was one of those books that popped up on my reading radar and seemed just quirky enough to make me want to read it. In the opening pages, English playwright Phillip Prys has a stroke. While he's past the most productive part of his career, some of his works have attained enough literary attention that they are taught in schools, including the school Struan Robertson attends in a Scottish mining town. Surviving the stroke but with almost no visible signs of intelligence, he is brought back to the house he shares with his young Iranian wife Shirin, but which his will leaves to his ex-wife MyFawny, the mother of his less-than-impressive children. While all the parties involved are at odds with one another, what they all share is the impression that their life without Prys certainly won't be any worse and, especially in the case of Myfawny, her prospects would improve considerably. His daughter Juliet, sixteen, on the surface a spectacularly shallow girl, has a weight problem--an odd contrast to her best friend's anorexia--and has just taken exams, without much hope of passing. Her older brother Jake has been dismissed from school but tells his mother he's in Edinburgh performing in a play. When Struan's English teacher sees the ad for a caretaker for Prys, he suggests the boy take it, since his admission to dental school has been deferred. Struan, an awkward, poorly dressed young man whose name everyone mispronounces, is the only person with any genuine interest in caring for Phillip Prys and helping him to recover. Without actually play a do-gooder, he manages to develop a positive relationship with Juliet and a number of the peripheral characters. The transformation of Clanchy's characters, particularly the way she allows Juliet to become a sympathetic figure, engages readers in this light, but intriguing little story. No one, except perhaps Struan, is what he or she appears to be--some better, some worse. The appearance-vs-reality motif never becomes a farce though. Clanchy has spun a story won't ever be taught in the literature classes of Scottish mining towns (or North Carolina furniture towns either), but she entertains. And at summer's end, that's enough for me. The first book I read by James Michener, Centennial, was passed on to my by my mother in the late seventies, who advised me to keep reading through the first couple of chapters, even though they were only about rocks and then buffalo. Sure enough, that information was useful later in the novel, which contained so many fascinating characters that I still remember them today. I went on to read many more of his door-stop-sized books, historical fiction bringing to life some part of the world. 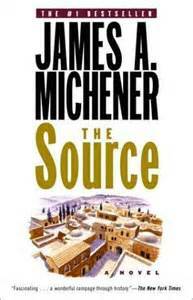 I know some people look down their noses at Michener's writing style, so heavily researched, but I feel as if I have visited so many places in the world, as well as so many times in past history because of his books. In The Source, the horrendous murders, often carried out in the name of religion, are heart-breaking. The senseless killing during the Crusades, often of Christians who unfortunately looked like "infidels" because of their dress just amplify what I knew already from study of history. I was also fascinated by the prophetic nature of the books, not only concerning the continuing conflicts between Jews and everyone else, but also the suggestion that China would eventually become a major power, affecting the rest of the world. Reading The Source has literally taken me all summer. I started reading the paperback copy that had been waiting for years on my shelf. Unfortunately, the print was far too small, so I downloaded the eBook. I'm used to looking at the bottom of the screen and seeing "Seven more pages until the end of the chapter." In this case, it was more likely to say, "Seventy-two more pages...," so I would read to the end of a chapter--a convenient stopping place, pick up another book for awhile, and then return. Even though it's been a slow process, I'm glad I've made my way through this particular account, shedding light on the events behind continuing world conflict. I'm ready now, though, for a little light reading.